Idaho has no national parks, and only a handful of national monuments (all located in the southern part of the state), but that doesn’t mean the state is not worth exploring. 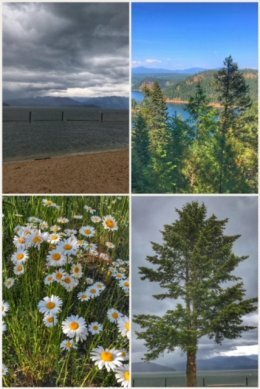 We found some beautiful places while visiting Coeur d’Alene, Sandpoint, McCall, and Boise. 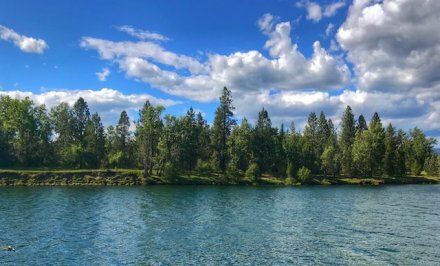 We stayed in a campground at Wolf Lodge in Coeur d’Alene, just northeast of the lake, and only a mile from the beautiful Idaho 97 — the 36-mile Lake Coeur d’Alene Scenic Byway, a two-lane road thar winds around the lake. The lake itself is fairly astounding: a massive, nature lake created when the continental ice cap receded during the last Ice Age; it is more than 26 miles long and includes 135 miles of shoreline, and is fed primarily by the Coeur d’Alene River and St. Joe River; the lake’s level is controlled by the Post Falls Dam on the Spokane River. 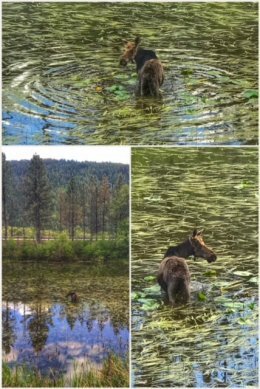 As usual, we spent quite a bit of time outside hiking numerous trails, including the Beauty Bay Trail, but found this beautiful moose in a little pond just a short distance from where we were camping. We did a side trip up to Sandpoint, a beautiful little resort town in northern Idaho, situated between three mountain ranges, and surrounding the pretty Lake Pend Oreille. The area is known for its biking, hiking, and skiing (Schweitzer Mountain Resort). 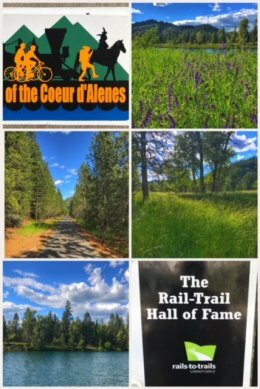 We could not leave the Coeur d’Alene area without experiencing some of the amazing Trail of the Coeur d’Alenes, a 72-mile paved rail-trail spanning the Idaho panhandle between Mullan and Plummer. 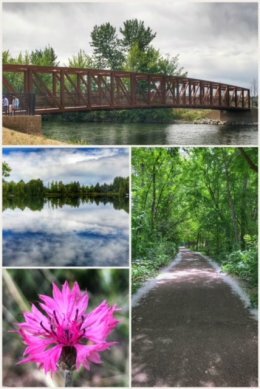 We started our adventure on this Hall of Fame trail (and one of the top 25 rail-trails in the country) at the Bull Run Lake Trailhead, which offers peaceful vistas of wetlands, forests, and the Coeur d’Alene River. 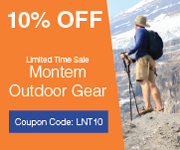 In total, there are about 20 trailheads and multiple places to stop and soak up the nature and phytoncides on this trail. 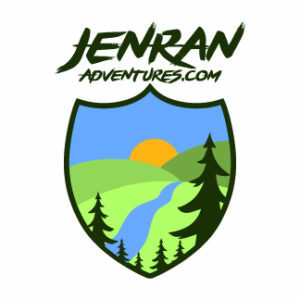 Even more amazing, this trail connects with the Spokane River Centennial Trail (a designated National Recreation Trail), so you could ride all the way from Idaho to Nine Mile Falls, just west of Spokane, Washington! 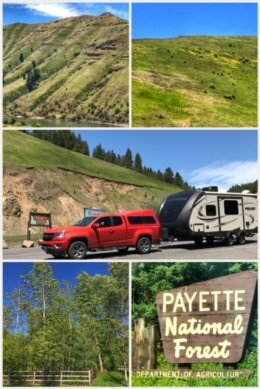 From CDA, we traveled down to McCall, along US-95, part of which is the Snake River Canyon Scenic Byway, which offers some breathtaking vistas starting around Grangeville (heading south toward McCall), following the Snake River — and traveling through the Payette National Forest. McCall is a cute little town that offers much in terms of recreation because of its location next to Payette Lake, a 5,330-acre expanse of clean, glacial water sitting at an elevation of about 5,000 feet. While in McCall, remember to check out Ponderosa State Park, which is also on the lake — and has camping, hiking trails, and more on its 1,000+ acres. We concluded this leg of the trip with two nights in Boise, staying in a campground right on the Boise River. With nice weather and good health, we took to the adjacent Boise River Greenbelt several times — walking twice and biking (finally) once. The trail had so much cottonwood tree fluff (seeds) that it almost looked like snow on the edge of the trail. The trail is pretty cool for a fairly large city, connecting various river parks within the city with several smaller communities around Boise. Next up, we hit southern Idaho, and finally get back to visiting a few national monuments!